“Few write as an architect builds, drawing on a plan beforehand and thinking it out down to the smallest details. Most write as they play dominoes: their sentences are linked together as dominoes are, one by one, in part deliberately, in part by chance” – Schopenhaur. 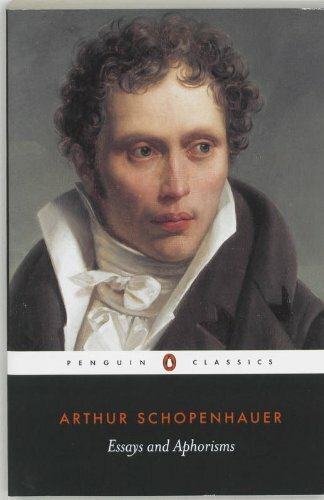 A philosophy post-graduate has played a part in stimulating my ageing brain cells this week by lending me a favourite book of his: ‘Essays and Aphorisms’ by Arthur Schopenhauer. This has given me an idea for a series of blog posts, using quotes from Schopenhauer, to trigger off a few thoughts on reading and writing-related topics. So here is the first one. I’m not sure I agree that only a ‘few’ write as an architect builds. I think a lot of writers do spend time drawing up a carefully thought out plan beforehand. I come in between the planners and dominoes players, though until recently, definitely on the side of dominoes. For fiction writing, I would start off with the rough idea, jot down a few basic notes, and then off I would go, building up most of my story as I went along. I’m trying to change and here’s why. My lack of detailed planning has caused my novel-in-progress to come unstuck. Reading through my first draft I realised I had several inconsistencies with the time frame and I had not trailed my overall plot through sufficiently, causing lack of a coherent shape and various other plot problems and structural weaknesses. The inconsistencies with the time frame alone turned out to be incredibly difficult to sort out, each alteration leading to a need to change a whole lot more things further on in the story. Have I learnt my lesson? Well, I still love to get on with writing, without much planning, and see where the writing takes me. But I have to concede that doing much more planning with my novel beforehand could have saved me a lot of extra work at the revision stage. I’m now drawing up a detailed plan of my novel, but, having got so far on with writing my novel first, I think I’ve done things the wrong way round. Like a breech baby, my novel has arrived feet first, head last, and got tangled up. This entry was posted in Writing and tagged books, novel, novel writing, planning, Schopenhauer by Jean Davison. Bookmark the permalink. Yes, Ruth, I’m sure you’re right. Sometimes planning does take away that wonderful sense of letting the characters do their own thing, which brings so much enjoyment and wonder to the writing process. Sorry for my delay in replying. My computer has broke down. I’ll have to buy another!